It took me a few years living in Georgia to realize just how much California is in my bones. I grew up a Midwesterner but then spent 14 crucial years – 1995-2009, or age 22 to 36 – on the West Coast. I never made a conscious decision to self-identify as a Californian, but after living in the Atlanta area for a couple years I suddenly realized just how much my time in California had shaped my personality. And now, even though I’ve been in the South for nearly six years, no author takes me back to Los Angeles like Raymond Chandler. When he writes, “There was a desert wind blowing that night. It was one of those hot dry Santa Anas that come down through the mountain passes and curl your hair and make your nerves jump and your skin itch,” I immediately think, I know that wind! Even though he’s writing about 1930’s L.A., I read his work and immediately return to late-night Santa Barbara streets, driving home after a show, the marine layer rolling in to slick my arm hanging out the open window and ghost a hazy nimbus around the amber streetlights. The state still haunts me, but under Chandler’s influence it’s not an unwelcome possession. Although I feel pretty firmly that Elmore Leonard is the undisputed master of crime fiction and, more narrowly, James Ellroy has cornered the market on a certain adrenalized, bare-knuckle strain of Los Angeles noir, it’s impossible not to see Chandler as the Rosetta Stone of the modern detective story, with Leonard and Ellroy and Rankin and Lehane and Hiaasen all tracing their lineage back to Chandler’s pitch-black tales of Philip Marlowe and the street-smart broads with whom he associates. 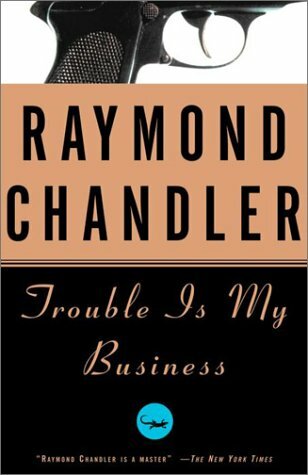 It’s been a long time since I last read Chandler – probably fifteen years or more since I closed The Long Goodbye – and the first paragraph of the title story in Trouble Is My Business is just like sinking into a warm bath. None of this is criticism, mind you. The reason Chandler is so good is that he mixes and matches all these pieces and manages to put them together in novel and exciting ways each time. In one story it’s about a guy who cheats a local mob boss out of $20,000; in another, Marlowe tracks some missing pearls to the Pacific Northwest. Even though we recognize the parts, the thrill is in seeing how Chandler repurposes them from story to story. Everything in this collection crackles with electricity. Everything, that is, except for the denouement Chandler references, the part of the story he views as most vital to its success. This is the only thing in Trouble Is My Business that feels antiquated: the scene where all the principal players are gathered in one room and Marlowe explains the nuts and bolts of everything that’s come before. It’s a variation on what Roger Ebert called The Fallacy of the Talking Killer. You know that tired scene from movies – where the bad guy has the good guy trapped and all he has to do is kill him but he spends five minutes explaining why he’s so bad and then the good guy escapes. It’s kind of the same thing here, where Marlowe has to explain the contortions of the plot so we’ll see everything the way he sees it. It’s a scene that I don’t really see in modern crime fiction, and in these stories it’s always necessary (Chandler is big on convoluted plots), but it also grinds the story to a halt. I wasn’t born in California, but reading Chandler is like going home. I never saw it coming, but somehow mystery became my genre of choice. I read very little horror or fantasy anymore and, as I’ve written elsewhere, I’ve only dabbled minimally in science-fiction. I’ve never read a western I liked – unless we’re going to count Cormac McCarthy as a writer of westerns, in which case, okay, I like him – and I suppose most of my reading fits into that very nebulous non-genre of literary fiction. You know: T.C. Boyle, Russell Banks, Dave Eggers, Nick Hornby, Chuck Palahniuk, Jennifer Egan, and so on. But starting in the late 90s with John Sandford’s Prey series and James Ellroy’s L.A. Quartet, I slowly started to gravitate to more and more mystery fiction. This was cemented when my wife hooked me on Mo Hayder’s Jack Caffrey novels (starting with the masterful Birdman, a book you should read immediately) and, more recently still, when I picked up Knots and Crosses, the first of Ian Rankin’s Inspector Rebus books. Now, even though I’m still fairly picky (no John Patterson or Sue Grafton, thankyouverymuch), rumor of newish high-quality mysteries will make my ears perk up. Even though I enjoy reading them, I don’t think I have the mental dexterity to write one of my own. 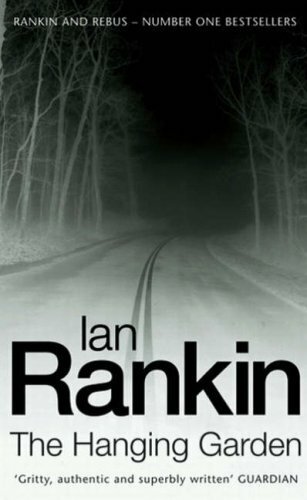 The trick, which Ian Rankin so ably demonstrates in The Hanging Garden (his ninth Inspector Rebus title, with ten to go), is to set as many disparate pieces on the field as possible and then make them collide in satisfying ways. In The Hanging Garden, Rankin somehow manages to bring together an Eastern European prostitution ring, a reputed Nazi war criminal, the Yakuza, the Rat Line (a rumored post-WWII pipeline by which the Vatican and the Allies smuggled high-ranking Nazi figures to the West), and drug smuggling in a way that’s sort of breathtaking in its intricacy. It never seems forced, and, most importantly, even though we see the pieces and know they’re going to come together eventually, Rankin makes it seem both logical and inevitable instead of manipulative. The thing that continues to set Rankin’s series apart from the rest of the pack, though, is its main character. Unlike a lot of detective fiction, Detective Inspector John Rebus isn’t an action hero. 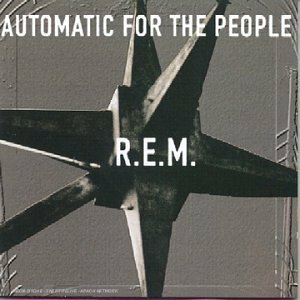 He’s a rumpled, cynical, recovering alcoholic who’s obsessive about his job and music from the 60s, in that order. He’s got a deadpan sense of humor and he isn’t especially likable, but his tenacity makes him a formidable opponent (he likens himself in one book to a terrier who doesn’t know when to let go of the bone). And even though he constantly treads the line between right and wrong in the course of solving a case, he doesn’t fall into the tired stereotype of the brash cop who proudly breaks all the rules. Rebus just does what he does and doesn’t make much of an attempt to rationalize it. He isn’t wracked with guilt, but he doesn’t flaunt his rule-breaking. He is, at heart, a pragmatist. In The Hanging Garden, one way this pragmatism manifests itself is through Rebus’ relationship with Gerald Cafferty, an Edinburgh-based mob boss he was responsible for capturing and imprisoning several books ago. When Rebus’ daughter is hospitalized in a hit-and-run that appears to be a warning sign to Rebus as part of an escalating mob turf war, the detective turns to Cafferty to find out who was responsible for his daughter’s injuries. In my experience, every good mystery has one or two moments that make your heart race. The prison exchange between Rebus and Cafferty is one of those moments. Rebus held the stare. ‘All right,’ he said. ‘I want them delivered to me. I want you to do that, whatever it takes. Rebus stared at him. ‘I’m your man,’ he said. Some of my excitement at this passage comes from the men’s accumulated history, at knowing exactly just how much water has passed beneath that particular bridge. 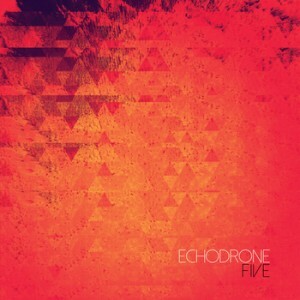 But it’s also the scene’s economy and brevity, how so much is said with so little, and what exists between the lines. In Rebus’ world, there’s often a gray area between good and bad, where cops break the rules and the gangsters operate under a strict moral code. The problem of reviewing a mystery is saying enough to entice without spoiling the fun. And make no mistake: Rankin’s books are immeasurably fun. The cast of supporting characters is rich and deep, the stakes are high, and the book’s moral center is delightfully ambiguous. In my previous review of one of his books I said Ian Rankin was the best mystery writer currently working. The Hanging Garden will be tough to top. Music fans will likely recognize the book’s title (and the lyrics scattered throughout) as belonging to a song of the same name by The Cure. The title doesn’t have much to do with the story, except that in keeping with the prevailing mood of early-80s Cure, The Hanging Garden is easily Rankin’s bleakest book to date. 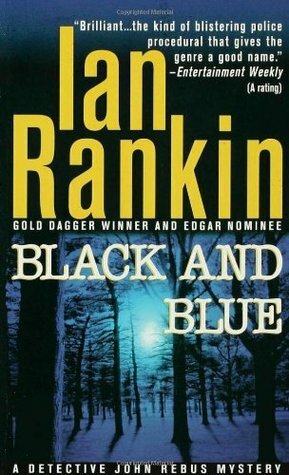 I’m going to begin my review of Ian Rankin’s masterful Black and Blue by doing something I’ve tried to refrain from doing lately: bitching about the Common Core State Standards (CCSS). For the uninitiated – in other words, readers of my reviews who don’t know what I’m up to in my life off the computer – my problems with the CCSS aren’t some Glenn Beckian, “Obama’s a secret Muslim so let’s cancel AP US History” goofabout. Nope: my problems with it are manifold, very real, and based in the twenty years I’ve spent in the classroom as, first, a high school English teacher and, currently, a teacher educator. I’m not going to bore you to tears by illustrating all of them here, but what I am going to do is touch on how Rankin’s Rebus mystery series, and this book in particular, do a bang-up job of putting the lie to a couple of the CCSS’ central tenets. This is the eighth novel to feature Detective Inspector John Rebus and the fourth one I’ve read since I began the 21st Century Bookshelf Deprivation Project, but this is actually the first time I’ve written one of these lengthy reviews on one of them. So, to catch you up before I plunge headfirst into the CCSS mire, D.I. Rebus is a rumpled alcoholic loner who’s largely been a failure in his personal life because of his tendency to obsess over the cases he’s assigned. The series takes place in and around Edinburgh, Scotland, and, rather than emulate the largely dopey tendency of American mystery series to feature a killer of the week in each book (see Sandford, Patterson, Deaver, et. al. ), Rankin’s series is deeply Scottish and is concerned more centrally with mysteries that plumb the depths of British identity. Rankin is, for my money, the best mystery writer working today (even better than my beloved Mo Hayder). What does any of this have to do with the CCSS? Two things, which I’ll take in turn – and I promise I’ll be talking about Black and Blue soon. David Coleman, the architect of the English Language Arts standards and self-acknowledged unqualified non-teacher, is on record as believing students shouldn’t be encouraged to bring their prior knowledge to bear on a text, focusing instead only on what they can learn from “the four corners of the page.” The most asinine example of this is his series of lessons on teaching the Gettysburg Address, which he believes should be done without sharing the cultural and historical context surrounding the delivery of Lincoln’s most famous speech. At this point I invite you to think of a time when you haven’t brought your prior knowledge and experience with you when you read. Is it even possible? When I read I’m constantly holding the text up against what I already know about the world, drawing on that prior knowledge as a way of illuminating the story (or essay or article or whatever). It seems even more important for younger, less confident readers to see this as a viable strategy. If nothing else, it lets them know what gaps in their understanding they need to fill. If they’re not engaging in this sort of metacognitive thought, it’s unlikely they’ll get what they need from whatever it is they’re reading. Which brings me back to Ian Rankin. His Rebus series is not especially well-known in the States. You can find a smattering of his stuff at your local Barnes & Noble, but he’s not exactly a name up there in recognition with John Patterson (which I’d argue isn’t necessarily a bad thing, but that’s an essay for another time). I chalk up a lot of this anonymity to a lack of cultural knowledge. As I mentioned earlier, Rankin’s series is inextricably linked to its Scottish setting and characters, and he doesn’t really hold the reader’s hand. If you pick up one of his books and don’t have at least a passing familiarity with Scotland, British government, the geography and economy of the U.K., Scots slang, etc., etc., you’re going to have a tough go of it. In other words, if you don’t have the requisite prior knowledge to draw on, the four corners of the page aren’t going to do much to help you out. Because I’m an unrepentant (and nerdy – oh so nerdy) Anglophile, I’ve got a decent understanding of what I need to make sense of the story, and part of the fun of it (for me, at least) is putting that understanding into play. It’s crucial to my enjoyment of the series, just as I’m sure the prior knowledge you bring to your favorite genres is crucial to your own. But David Coleman says it’s not important. And in that he’s dead wrong. The second way Black and Blue has some important things to tell us about the deficiencies of the CCSS deals with the way the standards enforce faulty distinctions in text types. In the great middle school dance that is the CCSS, “informational texts” are the 7th grade boys huddled on one side of the gymnasium and “literary texts” are the girls arrayed on the other side. If we’re to believe the CCSS, these two groups never touch and never dance – they’re kept artificially apart, probably by David Coleman and a yardstick. The implication in the standards is that we read literary texts for enjoyment (and also for evisceration, as we examine them for all manner of things adored by teachers and hated by students) and informational texts to learn things. While I wholeheartedly agree that we should resist the urge to overemphasize efferent readings of texts meant to be read aesthetically, the notion that we don’t learn anything from literary texts is laughable. • Bible John was a real killer, operating in Glasgow in 1969. He murdered three women before dropping completely off the radar. • Aberdeen, Scotland became known as the “Oil Capital of Europe” in the mid-1970s, and refineries in the North Sea are still active. • The Shetland Islands have more in common with Scandinavia than with Scotland. They’re also really windy. The above bullets are just snapshots of the first three things that came to mind, and there’s more I picked up about each of them than I cared to include here (especially about the lives of workers on oil rigs). But all of them illustrate the fallacy of keeping informational and literary texts at arm’s length. We can learn things about the world from novels and short stories and poetry (I know more about 19th Century sailing vessels than I ever wanted to know, thanks to Dan Simmons’ horror novel, The Terror), and we can appreciate the grace and craft of well-written nonfiction (see the beginning of Rachel Carson’s Silent Spring for a prime example). And this is maybe the perfect encapsulation of my problems with the CCSS: they’re too limiting. They enforce artificial boxes that reduce the study of English Language Arts to categories and formulas and easily assessed terminology. Rather than help students see the intricate web of relationships that bind history and literature and culture and film and the sciences and art, we compartmentalize all of it and warn students that we should never mix the contents of these boxes we’ve created for them. It’s a mistake that nevertheless reinforces the questionable CCSS promise of “College and Career Readiness.” Existing in the world goes beyond just being college and career ready; it’s learning how to navigate the very real complexities that connect each minute of the day to the text. And, oh yeah– Black and Blue gets 4 out of 5 stars.